The transition to ICD-10 codes comes with a revised CMS form to facilitate reporting. 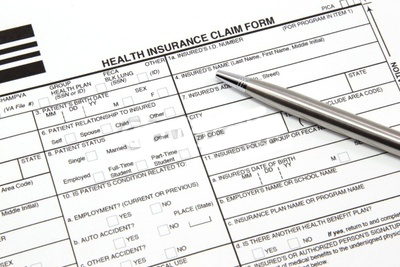 The National Uniform Claim Committee (NUCC) approved the use of the revised CMS- 1500 Claim Form in February 2012. The new CMS-1500 form will be printed with 02/12 in the lower right hand corner to indicate it’s the replacement for the 08/05 version. The CMS-1500 must be used when billing Medicare and other federal payers for services. Clinicians must indicate when submitting claims on CMS-1500 if they’re using ICD-9 codes or if they’ve already made the transition to ICD-10. It’s essential that clinicians maintain communication with their payers and clearinghouses and conduct testing to ensure submissions are being transmitted and received correctly. Medicare began accepting the revised version of claim form CMS-1500 on Jan. 6, 2014 and all submissions after March 31, 2014 must be done with the revised CMS-1500. For those who have received a waiver for electronic transmission, Medicare will continue to accept paper claims, but only on the revised form. Medicare will deny any claim submitted on the old CMS form on and after April 1, 2014. The new CMS-1500 was required to correctly report and document the thousands of new ICD-10 codes and the alpha-numeric system that will be used. Use of the new form is mandatory when billing any federal payer. Many of the line-by-line item changes were relatively small, such as changes in wording. For example, TRICARE CHAMPUS has been shortened to TRICARE and the Social Security number is now referred to as an ID number. Other line items with which clinicians were familiar were eliminated entirely, since the information will now be reported elsewhere on the form or not at all. A number of lines now read “Reserved For NUCC Use” and data that includes employer’s name, school and balance due that wasn’t reported on 837P weren’t deemed necessary and aren’t required on CMS-1500. An enhancement on the form allows clinicians to list up to 12 diagnosis codes per patient. CMS-1500 has a number of open fields, but they can’t be utilized to report additional data. Practitioners now have qualifiers to identify them as a referring, ordering or supervising provider and diagnosis codes that were labeled 1-4 now have an A-L designation. The ICD-10 codes are more specific and the CMS-1500 reflects that. The new form has a QR Code that can be scanned with a smartphone. The QR Code takes users to the NUCC website. The revised CMS-1500 also underwent changes that would provide practitioners with the ability to add extra qualifiers when needed. Any reimbursement claims filed prior to implementation of the revised CMS-1500 that must be resubmitted for any reason should be transmitted utilizing the revised form. This is true even if the previous claim was submitted on the earlier form. A copy of the form can be downloaded for examination purposes, but it can’t be utilized to submit claims. CMS-1500 uses exact red ink match technology and much of the embedded information will remain invisible when it’s scanned with an Optical Character Recognition (OCR) device. Clinicians should be aware that payers can opt not to process claims that are submitted in black ink and doesn’t use the red ink match technology. It will take some time for clinicians to familiarize themselves with the revised CMS-1500 form and the new ICD-10 codes, but the form is now an accomplished fact. The new codes and forms are a reality of the healthcare environment and clinicians must use them or risk not receiving reimbursements.